Participate with your friends, family and coworkers, raising awareness and funds to save lives. Your efforts and participation directly feed into real results in research, training, and education. With this combined effort, together we will build healthier lives, and help defeat heart disease and stroke. Welcome to 2019 Macon County Heart Walk! 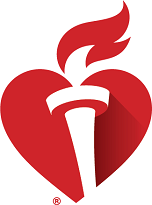 The 2019 Macon County Heart Walk has been cancelled. Please contact Nicole Laughery, Development Director at nicole.laughery@heart.org with any questions or concerns.